Universal Procon has won £280,000-worth of business from new pharmaceutical clients Flynn Pharma, Archimedes Pharma, Phadia, Rochester and Leo Pharma. The agency has also unveiled plans to open an office in Singapore imminently. 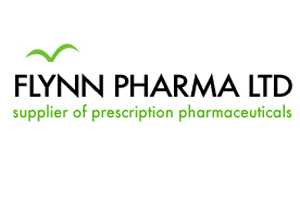 Flynn Pharma has appointed the agency to handle the UK delegates it is taking to the 3rd International Congress on ADHD in Berlin in May 2011. The overall work comprises one-off events including congresses, conferences and venue-finding and is collectively worth £280,000. Universal Procon managing director Graham McIntosh said the agency was also managing 79 events, that will be attended by 9,600 delegates, for existing clients between March and June. "We are about 20% up on revenue compared to the January to March period last year," he said. "We have also been involved in about five big pitches and eight RFPs in the past few months. The market is coming back." The agency plans to open an office in Singapore to serve Asia-based clients. It will initially employ four staff, one a business development manager. "We are looking to become a global player so we will also establish offices in South America and the main capitals of Europe, the first of which will launch this year," said McIntosh.